What time is it? Why it's time to celebrate! And what? The small things, of course! 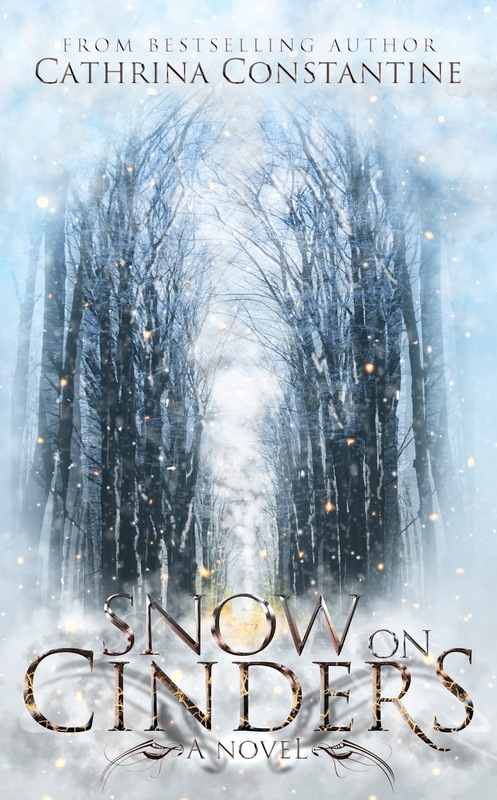 This is a weekly blog hop sponsored by the amazing Lexa Cain, and co-hosted by L.G. Keltner from Writing Off the Edge and myself. If you'd like to join in and add a little more joy to your week, then go ahead and sign-up on the linky below! This week, I'm celebrating. . .
1) Colder temperatures! It's SO nice to put on a light jacket and warm up with a cup of hot tea. And the stews, soups and comfy dinners make this one of my favorite times of year. 2) Fall leaves! I went into the forest yesterday to help my husband out with a gate and had to giggle as the thick layer of leaves crunched under my boots. I'll admit, I've never grown up when it comes to leaves. I kick them into the air, throw them at my kids (and husband, but he's not as humored as me) and fall into piles. Got to love those leaves! 3) Beds! Actually, I'm stealing this idea from my younger son. One night he told me that one of his favorite things in the world are beds because he can finally stretch out, close his eyes, rest and dream and cuddle in the blankets. And it's quiet. And peaceful. And warm. I totally agree. Beds are awesome. And what about you? What are you celebrating this week? A splash in the pool? What put a smile on your face this last week? Snow On Cinders is out! Lately, so many blogger buddies have been releasing so many great reads. And this time, Cathrina Constantine has one. I fell in love with this the second I saw it. Lovely cover. Fantastic blurb. Okay, I haven't read it yet, but it's already sitting on my Kindle, waiting for its turn. I can't wait to get at it. I'm very honored to have the chance to share. . .
How far would you go to protect your family? A peculiar metamorphosis has taken shape since the final days. And the planet is in the throes of healing. Fulvio McTullan leads his family and a band of misfits to form a new settlement, far from Tallas and it’s nefarious Elites. Their journey takes them into uncharted territories where strange creatures are lurking. It’s a battle of survival, not only from the creatures, but the mutated earth as well. Meanwhile, Pomfrey Addler, an oppressive Elite squashes the insurrection in Tallas. 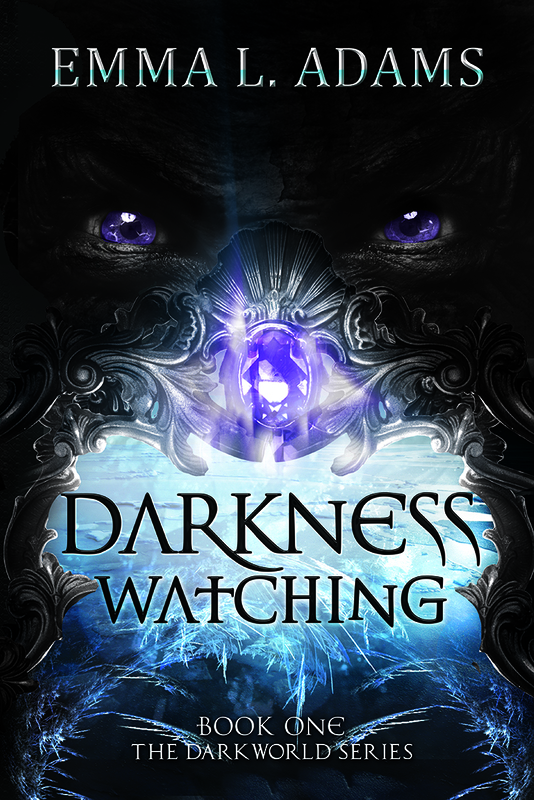 Suddenly, citizens begin to vanish in the middle of the night and his daughter, Paniess is hell bent on revenge. Fraught with mishaps, Fulvio finally locates the perfect place to settle. They begin to rebuild until they receive a call. A call which will lure them back into the clutches of Tallas. And if you don't know Cathrina already, then here are all the links where you can find her. 1) A visit from my brother! We haven't seen him for about a year, so it was nice to have him pop by. 2) A pig! A farmer asked us to buy his 400 pig for butchering to help him out. Now, we don't really have a great pen for a pig. So we did a quick goat/pig swap with my other brother (who breeds goats and wanted to borrow our billy anyway) and have had a big pig grunting in the goat pen until this morning. Then it was off to the butcher. My biggest problem now is trying to figure out where to put all that meat with a freezer already full of all sorts of things. Pork anyone? 3) Parent-teacher conferences! Why am I happy about these? After all those problems in Germany it is SO nice to hear the teachers say "Your kid is doing very well, and we have no problems with him/her." Seriously, the move back from Germany was worth it just for this phrase. 4) Kids at home! With parent-teacher conferences going on, the kids have a day off today. What are we going to do? I have no idea. But I love having them around. What about you? What put a smile on your face? Did you get to ride a pirate ship? Take a hot bath with lots of bubbles? Find a new song? Eat a wonderful piece of cake? 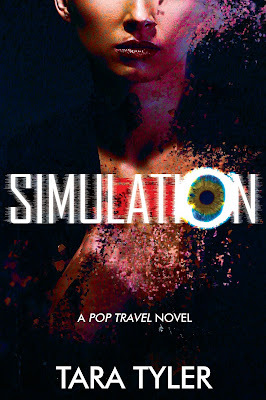 Happy Book B-day, Emma Adams! 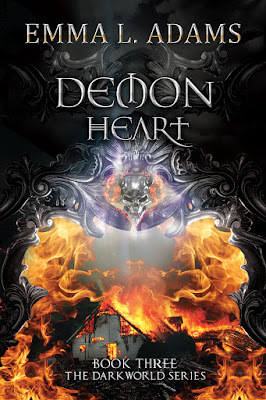 It's release day for Demon Heart, the third novel in the YA paranormal Darkworld series! And I'm so excited to help Emma let the world know that her book is finally here. 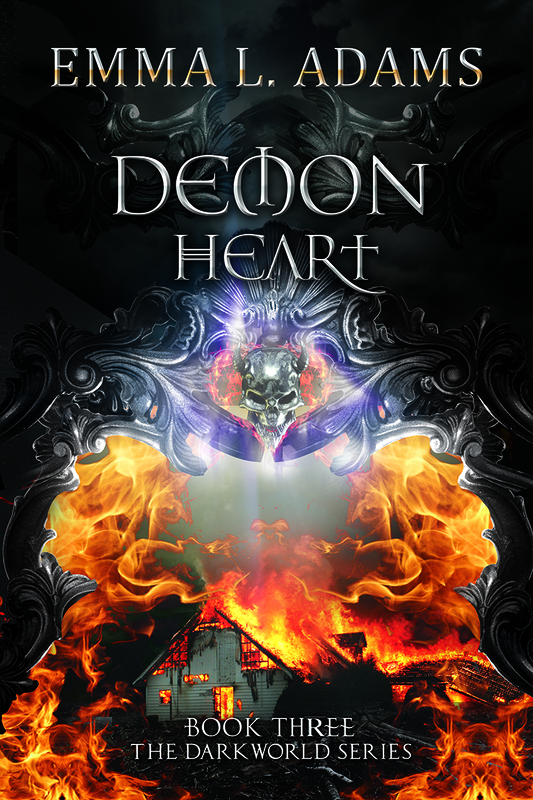 Can a demon’s heart of ice be thawed? Ash may have escaped death several times, but now things are finally looking up. The doppelganger is gone, she’s dating Leo, and the Venantium are staying away from her – for now. 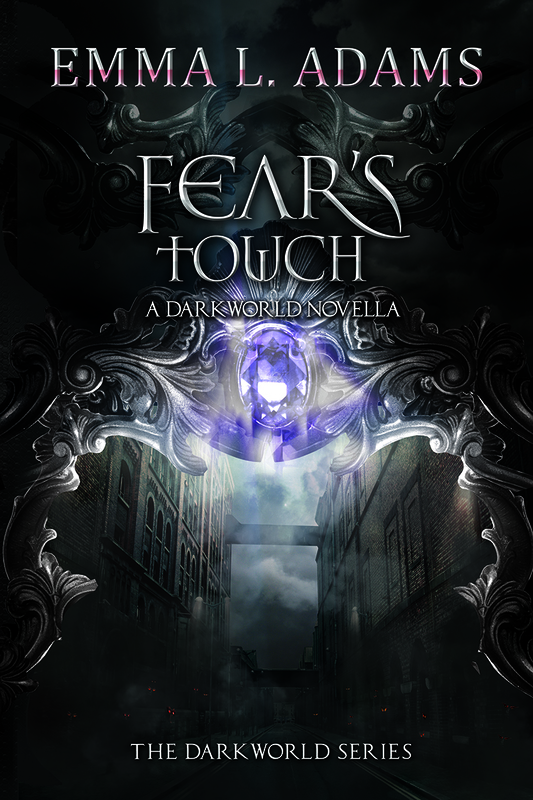 But a new threat rises from the Darkworld, and only the fortune-teller knows the true extent of the danger they’re in. Lucifer, a sorcerer who did the impossible and cheated death through escaping to the Darkworld, is on the move. Now his second-in-command, Mephistopheles the demon, is loose in our world – and will do anything to win Ash over to his side. The Venantium fear a repeat of the Demon Wars, the demonic invasion that wiped out the Blackstone family. But there’s more to those events than the records reveal. When Ash finds the lost diary of Melivia Blackstone, she starts to dig into the past to find the town’s forgotten history – leading to a revelation that shocks her to the core. Fire sprang up all around me, orange flames licking at my skin. I flinched away from the writhing wall of fire, which cut off any chance of escape. I stood in a large room, a bedroom. Through the haze of smoke I could see a four-poster bed, its feathery curtains ablaze. Flickering tendrils of fire ate away at the posh-looking furniture, smoke gushing out in clouds. On the wall opposite hung a magnificent, gilt-framed painting of a girl with long, curly black hair. As I watched, the paint peeled away from the background as the ever-spreading blaze devoured it. Underneath the roar of the fire I heard a whimper, and realised I wasn’t alone. A girl crouched in the corner of the room, arms wrapped around her knees, apparently oblivious to the fire raging around her. I tried to walk over to her but a wall of flames barred my way, flaring out of the lush carpet. The girl raised her head, but she didn’t seem to see me standing there. She was older than I’d thought; her hunched position had made her look like a child, but she was probably around the same age as me. Her dark hair spilled from a bun, and her gown, similar to the one in the painting, was crumpled and stained, as though she’d fallen in the mud outside. Her eyes looked right through me, and I gasped. They shone violet. A demon’s eyes. She doubled over, coughing. I tried to call to her to get out of the burning room, but it was like something had stapled my mouth shut. Dreaming. I’m dreaming. Her eyes flashed again, turning grey-black, ordinary, human. I recognised it. She was fighting possession with everything she had. The demon used her mouth to speak, but didn’t need to; its voice sounded in my mind, sliding through me like an ice-cold knife. 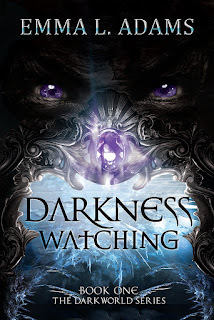 Start with Darkness Watching, the first in the YA paranormal Darkworld series. 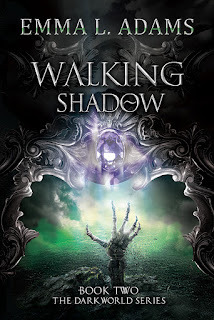 Watched by demons no one else can see, eighteen-year-old Ash think she's losing her mind. But the truth is far more frightening: she can see into the Darkworld, the home of spirits, and the darkness is staring back. 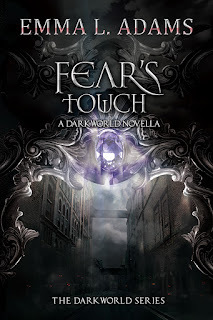 Winner of the Blogger Book Fair 2014 Speculative Fiction Reader's Choice Award for Paranormal/Supernatural Fiction. Amazon Barnes and Noble Goodreads Read Chapter One. When you have a connection to the Darkworld, nowhere is truly safe. Ashlyn has found a new home in Blackstone, but when a spate of grave robberies across the country spark fears that someone is practicing illegal sorcery, she comes under the radar of the Venantium, the protectors of the Barrier between her world and the Darkworld, who are suspicious of any sorcerer unaware of their origins. The trouble is, what Ash does know might just get her killed. 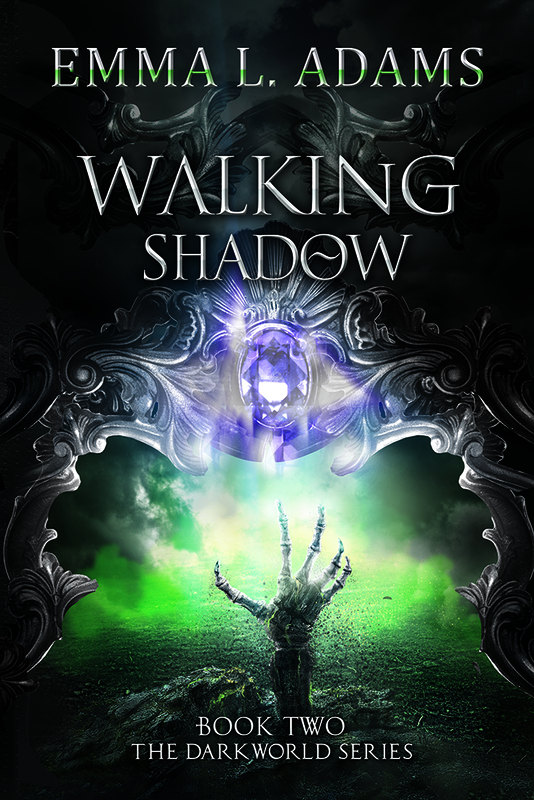 When university student Claudia's life takes a turn for the weird, she finds her new social life revolves around fighting sinister shadow-monsters and trying not to get arrested by the creepy organization which hunts them down. When a fellow magic-user comes to her for help, Claudia is pulled into a web of secrets - secrets that might cost more than her life. 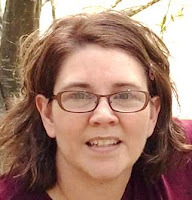 Emma is the author of various fantasy novels, including the universe-hopping urban fantasy Alliance series and the YA paranormal Darkworld series. 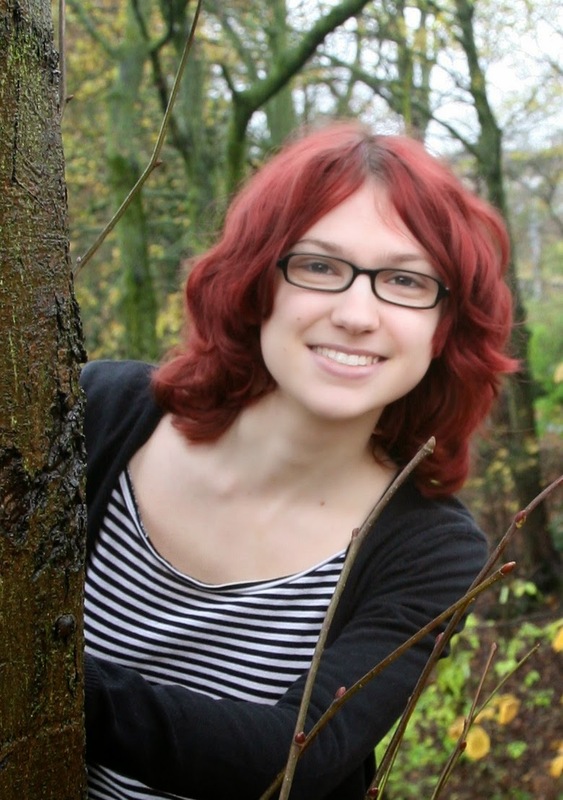 Emma spent her childhood creating imaginary worlds to compensate for a disappointingly average reality, so it was probably inevitable that she ended up writing speculative fiction with magic and monsters. She lives in the middle of England, but dreams of exploring the Multiverse. 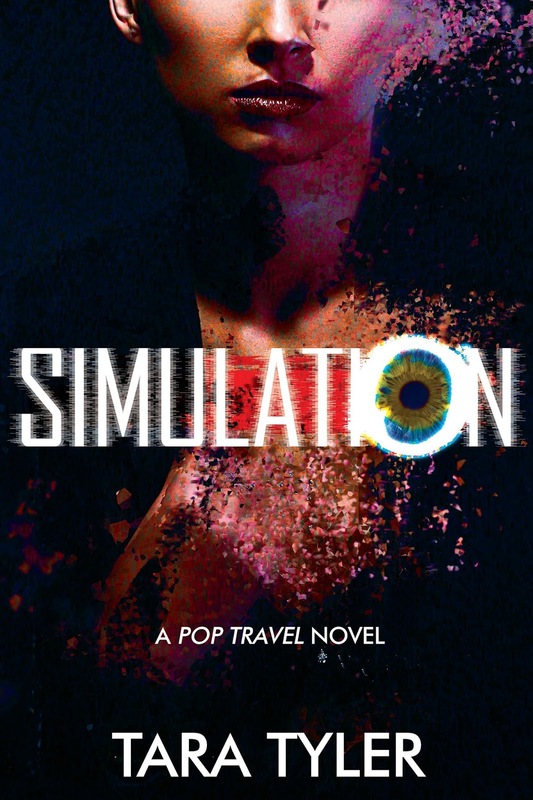 When she's not immersed in her own fictional worlds, Emma works as a freelance editor and proofreader and reads an improbable number of books. Visit www.emmaladams.com to find out more about Emma's books, or subscribe to her newsletter (smarturl.it/ELAnewsletter) to get a free Alliance short story and monthly updates on upcoming releases. 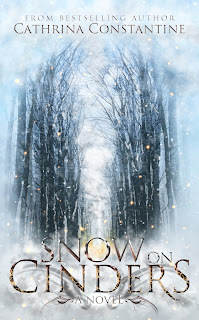 This is a weekly blog hop sponsored by the amazing Lexa Cain, and co-hosted by L.G. Keltner from Writing Off the Edge and myself. If you'd like to join in and add a little more joy to your week, then go ahead and sign-up on the linky below. We'd love to see you! 1) Cheesecake! I found a couple recipes for layered pumpkin cheesecake and mixed them together to come up with a super-duper desert. It uses a spice cookie crust, a vanilla layer, a pumpkin layer, whipped cream, spice cookies and then melted chocolate. Messy and yummy. 2) An ugly Halloween sweater! While walking through an antique store, I found the perfect Halloween sweater with little pumpkin heads dangling along all edges. I'll post a pic at Halloween. 3) My daughter's big head! Lol! Not really. I'm just teasing her that she's going to get one. She had quite the week. A guy at school asked her to prom (already????) during lunch break with posters and announcements over the speakers and just a huge thing. (I guess a lot of guys are planning on asking her and he wanted to be first. Go figure.) Then, mid-week she was surprised to discover she'd been nominated for Miss Christmas by her class. She got 75% of the Junior votes to be in the running. (No, I don't know what Miss Christmas is...but we're going to find out.) And lastly, I 'snuck' her out of school to eat lunch with me yesterday and we just happened to pass by a clothes store for her to look for jeans (*hehehe* evil Mom), and as we were paying, the owner came up and asked if my daughter wants to model his clothes on the bi-annual catwalk he takes part in. As said, quite the week. 4) Pears! My brother brought over two big boxes of pears from his tree. I've been searching the net for ideas (what to do with so many pears!!!!) Today, is pear and blackberry jam making day. I also sliced some up and put them on my hubs jerky dryer hoping they'll turn into dried pear slices (they still are running through). Any other ideas??? So what about you? Have a crazy week? Getting any writing done (I know, what's that?)? Buy a pumpkin yet? How about a warm cup of apple cider? What are you celebrating this week? But seriously! We need passwords for paying bills online, for shopping, for registering at the doctor, in schools, online anything needs all your info plus a good, strong password. You also aren't supposed to write them down! like in a handy dandy little notebook. Well, I am totally guilty of most of these DON'Ts! I can't remember a thing anymore if I don't write it down and how am I supposed to remember all these combinations!! random words or phrases, like: downonthefarm or ratherbeatbeach or bluebanana with some numbers added at the end or something. I may pick a phrase to use, but I will have to tweak it for the requirements and I will probably still write them down! Do you have any password advice? Know any funny passwords? Thanks for letting me ramble today, Tonja! The Lazy Housewife loves to vent! In 2082, androids are an essential part of daily life. Some are helpful, some would make better toasters, and some are so human-like they're creepy. Back in Atlanta, Detective Cooper takes a case to uncover an illegal clone android simulation operation. He hopes it will take his mind off his recent break up, but he winds up crossing paths with his ex, FBI Agent Geri Harper. As Cooper closes in, Geri is kidnapped. But when she resurfaces in Washington and goes on a killing spree, he knows it isn't her. Now under suspicion himself, Cooper must find the real Geri to prove her innocence, not to mention hunt down the powerful villain behind it all. Never a dull moment. SIMULATION delivers more technology, more intense action, more humor, and more, distinct new characters. Come along for the ride. 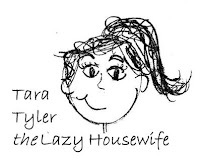 Tara Tyler writes sci fi and fantasy action-adventures from her little corner of the world in Ohio as she tries to keep up with her three boys and coach husband. Always making time to write, she sometimes puts off chores and lets laundry pile up... hence, she's also the Lazy Housewife, offering advice and tips to other gals out there trying to do it all without going crazy. She and her housewife friends blog at The Really Real Housewives of America. And don't forget the Rafflecopter! Well, to make a long story short (and trust me, I could go on forever), there's an awesome contest going on with great possibilities. And the best? It's free! 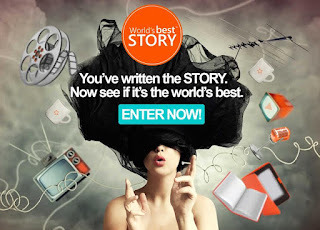 I'd enter myself, but my all of my MSs hit middle grade audiences, which just happen not to qualify for this contest. So, I'm telling all of you instead! Yes, all you lovely people out there. Today is the day to smile. Sit back for a moment and think back to all those things which happened this past week. Not the bad things. Not the frustrating things. Not the things which made you simply feel tired. Today, we remember all those little things that floated by, but before they left, managed to put a smile on your face. 1) Book Sale! This weekend is the bi-annual book sale of a group I'm in, Friends of the Library. This year, we received a HUGE truckload of book donations and doubled our sale amount (which is actually almost a problem since I'm betting it's brought the count up to over 20,000 books) Insane. Tons of work. And I hope those people buy, buy...buy! 3) Painting! Before cold weather sets in, I'm off on a last painting spree. The handrail leading up to our back door was in desperate need of repair, so I got that done. With the new coat of paint, it looks so pretty too. Now, it's off to the decks! And what about you? Did you see a pretty sunset? Buy a warm sweater for Fall? Did you bite into a caramel apple? Or maybe a stranger gave you a smile? IWSG and singing along. . .
To share and encourage. Writers can express doubts and concerns without fear of appearing foolish or weak. Those who have been through the fire can offer assistance and guidance. It’s a safe haven for insecure writers of all kinds! Curious? Then head on over to Alex's to get all the info because this isn't just any old ordinary writer's support group. This group is the writer's support group with the best people in the world and so much more. This last month has been a bit of a tripper for me. My agent decided to go on a break, so I'm floating for myself again. I received one rejection on one query (the only one I sent out so far) and should be writing a couple of shorts for things...(*cough* IWSG anthology, perhaps? ), but inspiration's been set on low simmer. I have a MS out with a smaller publishing company, but the cynic in me keeps hopes pretty much at bay on that one. Maybe I should send out queries and find a new agent? Maybe I should write something totally different genre wise? Maybe I should head into things myself for awhile? Maybe I should just sit back and take a break? What to do. . .what to do. I'm not upset nor worried. It simply feels like someone hit a pause button. So I'm singing. Singing soft. Singing loud. And waiting to see where this whole unsure thing will lead. What about you? Singing sad songs? Happy songs? Frustrated songs? How's the writing world going for you? Another week has flown by. . .okay, it had turbo jets this time. Still, it's time to look back and Celebrate The Small Things which happened and put a smile on our faces. 2) YA Buccaneers' Boot Camp is on! I love this 2 month writing plunge. Hopefully, I finally get some things done too. 3) Flowers from my husband! He picked me up a huge, potted, purple Chrysanthemum. See if it survives (sometimes I don't have the greenest thumb). 4) Halloween Candy! What? It's not Halloween yet? Oh well! With all the writing I'm 'trying' to get done (notice 'trying', not actually getting done), I got the munchies and picked up a few bags of treats. What about you? What put a smile on your face this last week? Find a dollar in your jean pocket? See a pretty stone? Get to talk to someone you haven't seen in a very long time? 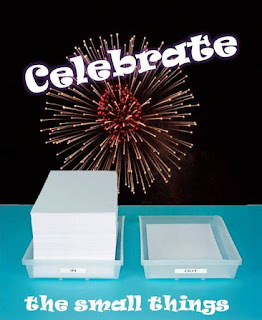 What are you celebrating?